Star Wars is everywhere these days as we rapidly approach the highly anticipated release of Rogue One: A Star Wars Story. 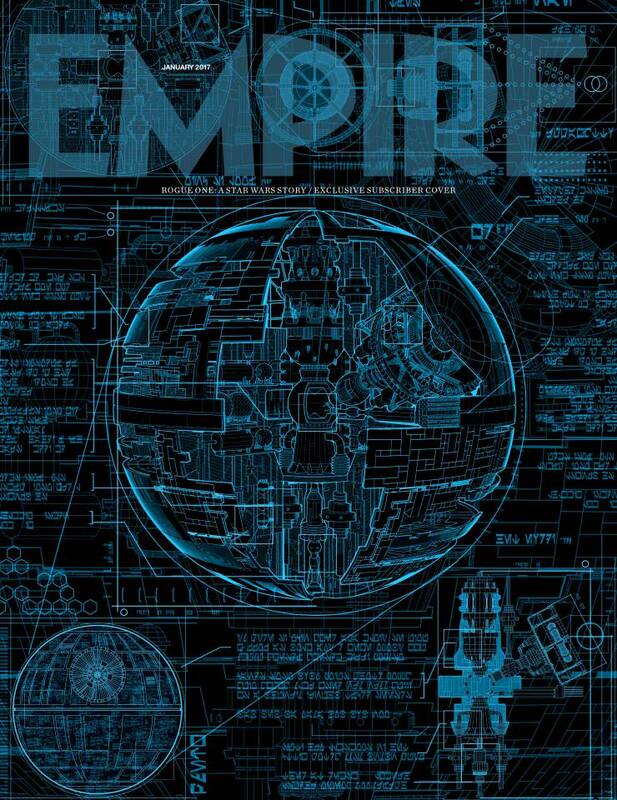 Empire Magazine just revealed the subscribers exclusive cover for one of their latest issues, and it's Rogue One themed. The cover(above) is highly detailed and features the schematics of the Death Star, which will be the primary focus in Rogue One's story. The issue will be arriving in subscriber's mailboxes in a matter of days. The standard newsstand cover will be revealed next week, and will go on sale on November 24th. The issue itself will include interviews with actors Felicity Jones(Jyn Erso), Riz Ahmed(Bodhi Rook), Forest Whitaker(Saw Gerrera) and director Gareth Edwards. Rogue One: A Star Wars Story lands in UK theaters on December 15th, and in North America on the 16th!